Mechanical stress has been proven to be an important factor interfering with many biological functions through mechano-sensitive elements within the cells. Despite the current interest in mechano-transduction, the development of suitable experimental tools is still characterized by the strife to design a compact device that allows high-magnification real-time imaging of the stretched cells, thus enabling to follow the dynamics of cellular response to mechanical stimulations. Here we present a microfluidic multi-layered chip that allows mechanical deformation of adherent cells maintaining a fixed focal plane, while allowing independent control of the soluble microenvironment. The device was optimized with the aid of FEM simulation and fully characterized in terms of mechanical deformation. Different cell lines were exposed to tunable mechanical strain, which results in continuous area deformation up to 20%. 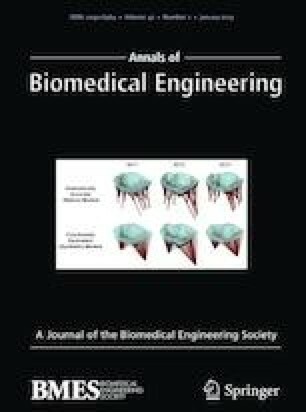 Thanks to the coupling of chemical glass etching, 2-dimensional deformation of a thin elastomeric membrane and microfluidic cell culture, the developed device allows a unique combination of cell mechanical stimulation, in line imaging and accurate control of cell culture microenvironment. Lia Prevedello and Federica Michielin equally contributed to the work. The online version of this article ( https://doi.org/10.1007/s10439-018-02121-z) contains supplementary material, which is available to authorized users. This research was supported by Progetti di Eccellenza CaRiPaRo, Oak Foundation Award (Grant #W1095/OCAY-14-191) and TRANSAC Progetto Strategico Universitá di Padova. This research was supported by the NIHR GOSH BRC. The views expressed are those of the author(s) and not necessarily those of the NHS, the NIHR or the Department of Health.